If Western's Wolrd's Monotheism origins with a Moses-Egypt connection, it superdetermines its memory operator, that is Western World's Egyptology. This mnemonic function suffices for Jan Assmann suggesting that its essence may thus be a Mosaic Discourse. I have examined what spans Assmann's Mosaic Discourse (i.e. sameness to Egyptology) and found a limited definition. If we follow his suggestion, Egyptology would be framed within two centuries, and, tipycally, it would be summarized with the Freudian repression. Yet, not only through Mnemohistory does Assmann tends to exclude the facts, but he ignores branches of the discourse of the Western World which 'could be' interpreted as Egyptologies. For instance, he does not consider that pre-Socratics were in position to develop an Egyptology. Nor does he consider the Hermopolitan reflexion of the Ptolemean Egyptology. Thereafter he excludes the Cristian Chruch as a relevant Egyptological component of the Mosaic Discourse. Theses Egyptologies however constitue Freudian archives, as Jan Assmann like to imagine but with a complete set of phases. An interesting supportive evidence for the Freudian repression is given by one of the exceptional scholar of history and literature and great Egyptologist of our time (Pr. Jan Assmann is Professor of Egyptology at the University of Heidelberg and published by Harvard University Press). The reading of Jan Assmann's Moses the Egyptian, The memory of Egypt in Western Monotheism, was sggested to me by several Egyptologists whom I addressed an e-mail presentation of my Web site akhnaton.net. As Jan Assmann himself answered with th ereferences of his book, I felt obliged and took on the reading. I do not regret this, for beside the fact that Jan Assmann's text is partly related to my own work - it is also interesting in regards to his methodological aspect; a point where I must especially draw attention. Jan Assmann undertook an operation which is current in Psychoanalysis. In his field of History and Egyptology, he decided to consider a discourse without considering its origins [I shall not even ask the question - let alone, answer it - whether Moses was an Egyptian, or a Hebrew, or a Midianite]. Thought he assures that he is aware of what he does [As an Egyptologist, I am aware of what I am leaving aside in this study], I feel however, that I must give a warning as to how dangerous this operation may be. Psychoanalytic experience provides a good example of this risk. It began with Freud, who yielded when he could not resist the enigma of primal causes (biological dimension of sexuality, quality of feminity, activity of the 'Great Man', etc..). His inhibition was perpetuated by many of his students who could not escape a circle in their analysis where they did not take what was real into account. Nevertheless, the facts (and/or their drives) being 'indestructible', they reimposes themselves through violence or hallucinations. In just breaking down defenses and secondary processes, the repressed do not releases itself but through pathological reactions . I personally anchor my Psychoanalysis on several levels; as a) on keeping a perspective on the historical behavior of Akhnaton, b) on the neurological implication in Cybernetics (aka the traditional Art of Memory), c) on the psychological consequences of the genital anatomy (Linguistic logic of Code, and Genetics) - psychohistory, libido and industry may thus remain coherent for an effective interpretation. My review meet an author, Jan Assmann, who has certainly been inspired by Psychoanalysis when this practice get fascinated with Linguistics. At this phase, the objectivation of the real being still missing, certain parts of the historical stages of the mentality (or civilization) are omitted in a memory recollection. For instance, we find that Jan Assmann detects what he calls Revival periods in a certain memory of Moses: the identification of the renown Hebrew leader (and/or its legend) was questioned several times in history, often in a passionate circumstances labelled as Egyptomania, when he was seen as a mentor of an Egyptian demiurgy, an Egyptian, even perhaps a pharaoh. Such critical periods have been repeated, thus building what Jan Assmann calls the Mosaic Discourse - yet, although he focused his attention with great intensity, he failed to see a major historical phase as one of the typical revivals. This period covers the Ptolemaic Era in Egypt, until its breakdown under the Roman conquest, and the dawn of Christianity. It is a time where Moses is presented by the Greco-Egyptian priests and historians as an influential Egyptian of their past. It has been a typical revival with an egyptomania which fascinated Rome, captivating Cesar and others. Jan Assmann does not include this moment in his recollection, and/or the discourse he analyses. He will consider that any memory of an Egyptianized Moses prior to the nineteenth century are inerte, not discursives - as one would say that the sexual life of an infant is not libidinal. The opening of Chapter Two shows a typical structure of Jan Assmann's text. We shall find it repeated and deserving of a Freudian scrutiny (Jan Assmann woudl agree since he refers his analysis to such degree of reflexive attention). His premisses state a Mosaic Distinction (mnemonic) and an Akhnaton one (historic). Without a structured notion of real, he cannot deal with a complex mix between both. He is able to present many authors in he past who have claimed that a pharaoh lead the Jews away from Egypt, and the moment after he annuls it by stating that Akhnaton died in Egypt. He knows very well that there is no evidence for this possible death in Egypt, but he does not warn the reader who may rely on his authority as Egyptologist. This is a typical process of repression, guaranteed under the cover of the Ideal. We do not have to wait long to encounter an alarming confirmation - for in the very same paragraph of this opening chapter, we witness the effects of the repression that I have mentioned above. Since he ignores the Ptolemean case amongst the discourse episodes of 'Egyptomania/revival' Jan Assmann must fall into a proposition which is simply an error. He says: Until his rediscovery in the nineteenth century, there was virtually no memory of Akhenaten; this si simply not true - or truth cannot be said this way. During the Ptolemean rule, a major city was built by the Nile, on the opposite bank facing the vestiges of Amarna - it was called Hermopolis Magna. If this is known, anyone would ask whose portraits the pilgrim saw on the cliffs which surround the site - and would recognize Akhnaton. One may discuss if Jan Assmann did not 'encrypt' his message with the word 'virtually' which keeps open to all meanings - but again, the manifest fact that Hermopolis Magna is never mentioned by Jan Assmann suffices to induce and to speak about an 'error'. As I am continuing an analysis which may be useful, I find it opportune to develop what is lacking in Jan Assmann's second Chapter, as a consequence of this error. In recollection of what would come in place for the forgotten Amarna's period, he brings forth the terms of leprosy and madness, which became major signifiers in the early Jewish definition, and reciprocally used by Egyptians and Israelites in their enclosed culture organization. Yet, if Jan Assmann had taken into consideration the iconography of the Amarnian cliffs, he would have substantiated his analysis with even more interesting data. In the way he interprets the 'madness' and 'leprosis' alibis, Jan Assmann lacks a dimension. He stays on the semantic logic, which misses the biological component being quite a part in the history of a living species. It is, for instance, with a training in Medicine and Psychiatry that I can affirm that the specificity of the health disorders affects mnemohistory accordingly. Consequently the 'crazy' and dysmorphic representations of the Amarnian Art may improve the understanding of what was meant by 'madness' or some physical deformation. As we would like to know if the plagues, which occurred after Amarna, were sexually transmitted, or carried by certain food, we are interested likewise in knowing if during the latency period of the Amarnian vestige, the weird elongated representation of Akhnaton linked to the major signifiers of the memory encryption. At this point, we begin to have a picture of what Jan Assmann will be deprived of. There is an impressive number of advanced people in the Antiquity and Late Antiquity, who were concurring with their historians that Moses was an Egyptian Priest, if not a pharaoh - Jan Assmann mentions: Manetho, Flavius Josephus, Hecataeus of Abdera, Lysimachos, Chaeremon Pompeius Trogus Artapanos, Tacitus, Strabo, Plutarch, Apion - At the same time he stands deaf to their voices, with that energy he uses for repressing what was rebuilt on the very location of this Amarna where he believes that Moses took his inspiration. Therefore and thirdly, he is likewise ready to ignore the memory of Hermopolis Magna which follows the end of the Ptolemean period, when Suidas, Justin Martyr, Athenagoras, Clement of Alexandria, Tertullian, Cyprian, Lactance, St Augustine, Cyril of Alexandria, Zosimus, Jamblichus, Julian the Emperor, Fulgentius the mythographer and many others testified to the memory an Egyptian Monotheist King responsible for the building of an Utopian Solar City, who they called Hermes Trismegistus - aka the Triple Great Hermes Thoth closely related to Orpheus and Moses. This is why the next Chapter directly jumps to the post-Renaissance European memory, skipping 1600 years of Christianity. It is noticeable that while deepening the notion of Translation - nearly as a paradigm of Mnemohistory - Jan Assmann made no mention of the possible translations of the name of Akhnaton when the Ramessides imposed the proscription of his name on the African-Eurasian Isthmus. When he collects the many names that a mythical figure shared with as many cities of the world, he does not give a hint or glance at the name(s) that could have hidden 'Akhnaton' in the shadow of Moses. However, this is what he stares at, in the mirror where he holds an alibi: the many times he will mention Trismegistus, this will be forever - in his text - stamped as discarded. Leaving an unseen pre-Christian memory of Moses the Egyptian, Jan Assmann overlooks the major debate of the Renaissance - when Trismegistus was brought to the fore-stage by Marsilio Ficino (1433-99 AD) up to Giordano Bruno (1600 AD). He presupposes that there was a simple failure of a discourse, casting it away beyond the rank of consideration . Right from the beginning, in Chapter One, Jan Assmann warned his readers that Trismegistus must be discarded after a successful destruction of Ficino's imaginings, making it a forgery which would exclude it from the field of Freudian slips, Translation and Unconscious (!). He gives more details in Chapter Three. Jan Assmann neglects that the recognition of the Egyptian King Moses in Trismegistus played a major part during the Renaissance, and relies on the Historian Frances A.Yates who recently revealed this identification. He presumes that she denounced a fundamental void of meaning in this particular episode. The case would have been dropped after its conclusion by Casaubon in 1614, and Jan Assmann interprets that Yates could close the book of this Hermetic aberration. He thus takes advantage of this view and, without further critics, jumps to Spencer and Cudworth who articulated the Mosaic Discourse in 1678. However, a serious problem is set up there. Jan Assmann does not seem to have been close enough to Yates' work to percieve that her demise of Hermetism in the line of Casaubon was highly ambiguous. Her students still remembered, a few years ago, how she thought that Europe had lost a tremendous opportunity in rejecting the unifying notion of the Egyptian Moses. She also warned her readers that Casaubon's dating was a mediocre essay - this is very different than what Jan Assmann reports as proof beyond reasonable doubt and successful destruction of Ficino's imaginings. Moreover, Yates could ponder by the end of her life, some information that Jan Assmann must be fully aware; it is a discovery which invalidates Casaubon's argument. F.Yates understood rapidly and acknowledged the consequences which reestablished, with full power, Ficino's claim that Moses was a Monotheist Egyptian King. Quite remarkably, it is only at the very end, in the last paragraph of his entire book, that Jan Assmann mentions this decisive element - e.g., the discovery of the library of Nag Hammadi in 1945.
and detects - in green - only the Ptolemean (partly) and the post-Renaissance periods. Except for all this, Jan Assmann's Chapter.3 of Moses the Egyptian seems quite good to me. It presents a system of History where a Psychoanalyst finds remarkable coincidences with the fundamental Freudian exercise. He makes an excellent compilation of processes which follow the principle of 'Normative Inversion", such as 'enculturation', 'accomodatio', 'translatio', 'mutatio', 'derivatio'. He shows their similarity with the systematic description by Freud of the mechanisms of 'displacement', 'inversion', 'negation' etc... which follow the principle of Opposition in the Primitive Words. This chapter will be especially encouraging for the Psychoanalytic movement in showing such precise presence of the Freudian tools in Spencer's 1670 model. I have begun to mention a series of omissions and errors in Jan Assmann's reading of the Memory of Egypt in the Western Monotheism. Not only Hermopolis Magna, but Hermes Trismegistus should be integrated in a report of the Memory of Egypt in Western Monotheism focusing on Moses. When in his fourth Chapter, Jan Assmann covers the texts of John Toland, William Warburton, Karl Leonard Reinhold, until Freidrich Schiller, he echoes a period around about the social revolutions of the 18ht Century. These authors gave evidence of the changing mentalities which, in term of understanding Mass-Psychology and/or History of Mnemohistory, became aware of such processes as the secret in the rationalization which follows the early substantification of the Divine Knowledge in the history of a Religion. In this progress, the discrimination of Linguistics, improves also the ability for reflecting one's written believes. Jan Assmann makes there an excellent report which, however, omits Fabre d'Olivet whose major book (the Hebraic Tongue Restored : And the True Meaning of the Hebrew Words Re-Established and Proved by Their Radical Analysis) has been recently translated in English, after having been published without discontinuity since his writing during the French Revolution. In spite of Champollion's fierce critics against Kircher and his line, it is not correct to exclude from the 18th century Mosaic Discourse, d'Olivet who wrote the most advanced definition of a secret degree in hieroglyphics - especially since he shouldered from a step ahead the linguistic attempt of Warburton. As Jan Assmann mentions the latter for the most elaborate, erudite, and influential exposition of an interpretation of Egyptian hieroglyphs in 1741 that d'Olivet objectifies by 1800, we must try to understand his expelling this. A good clue may be found in the fact that Fabre d'Olivet was definitely focusing on the Egyptian Moses as well as the Hen Kai Pan, i.e., Hermes Trismegistus' anonymous God who is unus et omnia, "One-and-All". There again, we encounter Jan Assmann's dilemma when he presents amongst the major 'Mosaist' in Chapter Three, Cudworth whose subject was actually (says he now in Chapter Four) not the transmission of the Egyptian wisdom to the Hebrew. "He was interested in its transmission to the Greeks.In this respect Orpheus played precisely the same role of mediator as Moses did in the Biblical tradition. Orpheus was generally believed to have been initiated into the "Greater" egyptian Mysteries. Egypt was thus connected to Europe in two ways: to Jerusalem via Moses and to Athens via Orpheus" - an interesting precision indeed, which would have been even more complete if Jan Assmann had not omitted to recall that Orpheus' initiator was, precisely, this Hermes Trismegistus that Fabre and the Hermeticists held so close to Moses. I believe that we have reached a point where an intrigue signals itself enough. There is a lack in Jan Assmann's text, starting with Hermopolis Magna, then with Trismegistus. He never considers the Christian Church, in the memory of Egypt in Western Monotheism and/or the Mosaic Discourse. Perhaps the Vatican is not serious in the Egyptological sense of the term - but, when Jan Assmann's analysis includes substantial definitions of God, One, All etc.., it is unfortunate that the position of the Clergy cannot be evaluated. This is where on must examine the significand of the word serious which is used by Egyptologists to qualify what other discourses than theirs, about Egypt, are not. It may be said that Jesus Christ, at the pivotal point of his ecumene, was not Egyptologist when he presented Moses unveiled to his disciples on the Transfiguration hill - at least the Rabbis thought he was not serious. Such a corporatist requirement may be the reason why Hermes Trismegistus was left to the memory of the Fathers of the Church without attention - until their teaching later revealed his identification with Moses (Ficino period); at this moment, the Inquisition eliminated Hermetism. Yates has shown that the identification of Moses with a certain Egyptian King opened dramatic issues for Christianity which was threatened by a reduction to Cosmotheism - unless it finds an extension towards Orpheus (and later Oedipus). This may be a clue for deciphering Jan Assmann's out-of-text references. In the recent evolution of the Mosaic Discourse, 1990, there is but one author who holds the very position of the founder Spencer. He is Ahmed Osman who Egyptologists like to ridicule, for he has no diploma, I guess; otherwise some consider his work pretty provocative. As Osman first noticed the non-Egyptian lineage of Akhnaton (by his Mother's-Father) he adventured then after to ponder if Akhnaton was an "Egyptianized Hebrew" (as Spencer saw Moses). It is remarkable that, from this hypothesis, logical deduction calls for the blatant possibility that Akhnaton is Moses. It is only an hypothesis, like all the material that Jan Assmann analyses indeed; but something special happened to Osman. As Jan Assmann notices, all those who turned the kaleidoscope and contributed to a new variation on the story of Moses wrote a different text than what they intended to write. In Osman's case he suddenly became hysterically anti-Christian . Similar dementia is not perceptible with Jan Assmann - but his annihilation of the Christian discourse in the Memory of Moses rejoins, in fact, Osman's. As the process with Jan Assmann is linked with guilt ("The present text reflects my situation as a German Egyptologist writing fifty years after the catastrophe..., knowing the full extent of the genocide..., and having turned to Ancient Egypt thirty five years ago with questions that are all to easily forgotten as soon as one enters an academic discipline") the Unconscious may not have missed an opportunity for a blink at the point where the two repressors connect. Jan Assmann expels Osman with vigor - as other colleagues for who Osman is not serious have done. A scrupulous reading of Jan Assmann's text finds that in the most remote place where he casts Osman away, he associates him with the recent Philippe Aziz. There is an undubitable indicator; for the very scholar Jan Assmann makes there a reference which is absolutely mistaken. He gives Aziz as an other example, alltogether with Osman,.for the Ficinian fiction which equate Moses to an Egyptian King. Fortunately, I read Philippe Aziz, carefully enough to notice that he could write in 1980, some 200 pages, titled Moise et Akhnaton, without mentioning once this possibility that Akhnaton could be Moses. I even elected him as a prime example for the repression of Akhnaton=Moses idea - exactly the opposite for which Jan Assmann ridicules him. Such error from a scholar who mentions and discard an author on the base of this author's text that he has reverted asks indeed the question of seriousness - though it is not to blame Jan Assmann for a sort of typo, but to underline what a freudian lapse may indicate as a major track. Indeed Osman may not be serious as Jan Assmann wishes - insofar as Osman's forclusion of Christianity is a mistake... as we understand Assmann's too . We shall find possible confirmation in the following chapter which presents Freud's Mosaic Discourse - whose major opposition was the protection from the Church, as he psychoanalytically confessed. Freud's interpretation on the foundation of the Jewish identity has not been very comforting. The publishing of his Moses and Monotheism in 1938 preceded the Holocaust perpetrated by Nazis - while Freud's ambition was certainly to contribute to an analysis of the Western Mass psychology. We can hope that similar ambition, confessed by Jan Assmann, will lead to better results in his attempt for a mnemohistory of religious antagonism insofar as this antagonism is founded on the symbolic confrontation of Israel and Egypt. In this respect, I hope to contribute to a historical analysis of anti-Semitism, says he after Freud. Jan Assmann shows that for many theoricians of the Mosaic Discourse, Repression (secret, encryption, mysteries) may be a way to guide masses towards moralization. He knows also that academic discipline develop questions of their own and by doing so function as a mnemotechnique of forgetting with regard to concern of a more general and fundamental character. So when he opens his chapter on Freud, he shows a repression from the beginning. As he starts with : When Sigmund Freud embarked on the subject in 1930, he does not say the truth. However he is not wrong; he knows a technique of restoration which is especially conspicuous because it occurs after the reader has already become totally familiar with the figure supposedly analyzed. So, after a while, he mentions that in 1912 Freud knew about Akhnaton when he suggested this subject to his disciple Karl Abraham. However at that point (as a debt for the Unconscious ), he finally gives in a definite counter-truth, when he announces that K.Abraham drew a portrait of Akhnaton and his religion which closely anticipates the one that Freud himself would postulate. Only if a 'postulate' is repression Jan Assmann is correct! Actually Freud stood at the extreme opposite of Abraham's view. He did not promulgate at all Abraham's portrait of Akhnaton, and was even so upset that he never mention K.Abraham work then after. This disassociation is amongst the classical curiosities in History of Psychoanalysis. In order to present Freud's discourse on Moses, one must take it from the point from which he really embarks. The violence of Freud's resistance - collapsing twice in this period - which persisted the rest of his life, was due to Karl Abraham revealing how close the newly discovered Akhnaton matched Oedipus' features. As with Aziz - in reversing the data he refers to, Jan Assmann holds out a key, for a better reading. As Freud notes in the processes of the Unconscious, the inversion may indicate a displacement for an excluded subject - for instance, someone else than Freud who may have promulgated K.Abraham's view; or the real person whose Akhnaton's portrait K.Abraham would have closely anticipated. This person exists, and is noticeably absent from Jan Assmann's (and serious Egyptology) text - he is Immanuel Velikovsky. Velikovsky is the ostracized Archeologist who has elaborated the portrait of Akhnaton that K.Abraham drew. Now Jan Assmann's text makes sense; he has encrypted something that Velikovsky shows. Since Velikovsky is proscribed from Egyptological references, this convolution (displacement plus inversion of K.Abraham's text) may be understood. It gives also an opportunity to understand why Immanual Velikovsky is censored by Jan Assmann who paradoxically refers at the same time to authors as Martin Bernal who thinks that Velikovsky's identification of Oedipus as Akhnaton is correct. Jan Assmann indicates that the answer lies in a concern of a more general and fundamental character than what he forgets; and since we believe that the material we need is all given there (with the steadfast quality ot the Unconscious, according to the Freudian view), we may just have to pick up in the broad background Jan Assmann gives for Freud's Egyptological knowledge - e.g., Breasted's impressive and influential work. He tells us that Breasted had shown that while ruling over a multinational empire which the pharaohs of the Eighteenth Dynasty deemed universal, they formed the concept of a universal deity as the creator and preserver of all. While the Egyptians armies were conquering the world, the Heliopolitan priests were drawing the concomitant theological conclusion. This realistic picture invites a simple evaluation of what was covering the so-called 'multinational empire'. There is little doubt that - if Breasted was right - the Heliopolitan project envisioned an integration of the Aegean area (along with Mitani, Syria, Palestine, Sinai etc..). One may argue that, in fact, the Egyptian armies were stopped by the Hittites - but this does not contradict the understanding that the politics which prepared Akhnaton's project, included the Hittite kingdom. In other words, the Atonism that the Heliopolitan priests drew, and that Akhnaton executed , comprehended the many beliefs and cultures of their planed Empire, including Hittite characteristics. Thereafter, by necessity, if an historical project involved the Aegean during the significative Atonism burst, the Aegean kept a memory of it. This implies that the Mosaic Discourse must count Hellenism, as well as Egypt, for its articulation; and by logical force, I mean that Hellenism must be accounted with an Egyptology. This fifth Chapter allows thus to realize that an integral Egyptology must therefore include Hellenic, Ptolemaic, Roman Egyptologies added to the fourth that Assmann describe. The point that I have reached in deciphering Jan Assmann's semiopathology may be farfetched - yet it may be not; for it is coherent with many sound arguments all along History. It is reasonable to suggest that the omission of the Christian Church in the Mosaic Discourse is symptomatic - it is reinforced with the reasonable similar suggestion regarding the omission of an 'Egyptology' in Hermopolis Magna so close to El-Amarna. A step further back, we arrive to the pre-Socratic, and Sophocles' text - where there is the object of scandal, when Velikovsky reveals that the Oedipodies represent an Egyptological report. I wonder why Jan Assmann did not simply date the beginning of the Mosaic Discourse with Moses - and therefore with Ramses being the counterpart, thus allowing a discourse? This would define a coordinate for a real Egyptology, and the coherence of Jan Assmann's discourse when it concludes with Freud. 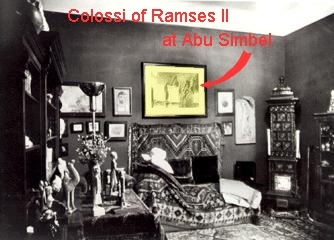 I have always been struck by the presence of Ramses II, at the foundation of Psychoanalysis by Freud. The authority of the censor of Akhnaton's memory (Ramses II) in the epitome of the Mosaic Discourse (Freud, according to Jan Assmann's book) may be a significative part of its text. The many pages on akhnaton.net Web site will complete the rest of my comment on Jan Assmann's Chapter about Freud. I invite to consider especially the Ramessides order which imposed a deletion of Akhnaton's memory in the entire 'Empire' - including on the Land given to Israel and on the Hittite Kingdom after the Quades international organization. This is exactly commanding Assmann's text as well as Freud's interpretation - "They want you back in Thebes, or use your corpse at the border of the land for their propaganda', Ismene warns her father Oedipus..; I invite to read Sophocles' Oedipus at Colonus, as a possible accurate Egyptological report . When Jan Assmann arrives to the last chapter of his study (as the very '1st' chapter is an Introduction, the very last and '7th' is a Conclusion) he eventually comes to this objective ground - and, with the Egyptological discovery of the Akhnaton's "Great Hymn", he finally shows the immense positive potential of his book. The fact that he may not be fully aware - conscious - of his contribution, calls for the little push I shall offer. If we recognize that in the said series, a gradual disentanglement took place, Freud does not make it ultimate (as Jan Assmann modestly says). Freud still partly dwells in the realm of a guilt complex that he does not de-idealize. Only after Lacan and his friends, a term as Hyper-Realism is brought to meaning what Jan Assmann is to touch - for he will indicate in the rest of his text that, instead of a story of religious confrontation, the story of Moses the Egyptian is a story of political tensions. How the 20th century displays an explosion in Art (abstraction, surrealism) is remarkable - it reaches that similar point of objectivation and disillusionment which constitutes the Amarnian Naturalism (e.g., an energetic void of meaning, aka Thermodynamics). This is suggesting that the frustration of the "disenchantment of the world" (Amarnian Realism) could mourn its Narcissism by the means of Art. Consequently, when Jan Assmann presents the archeological artifact (the text of the Great Hymn which was unknown to the previous centuries), and applies his Egyptological art to the visibility of Akhnaton's realism, he is fed with an impetus which helps him to make a step. Jan Assmann writes: The more there is that can be explained, the less there is to interpret. Thus we may perhaps say that, instead of founding a new religion, Akhnaton was the first to find a way out of religion. There is little question that this is post-freudian. It is expected that the archeological artifacts of the evidence of Amarna thrust a breaking effect on the shell where the mystical and mythical imageries was previously encaved. This is what happened in the 20th century with its counterpart of resistance - the murder of Moses with Freud and the murder of Christianity with Jan Assmann & Osman. Fortunately, their cases indicate clues, in the shadow of their arguments, to detect their hiding. About Jan Assmann, in the same Chapter, he writes: It as become clear that the Amarna revolution is the peak of a much broader movement which was certainly related, as Sigmund Freud assumed, to the broadening of the Egyptian world in the course of the political events of the New Kingdom and the rise of an Empire. This was Breasted's understanding and can be developed into a plain political explanation involving Egypt, the Arabic isthmus and the Aegean . Infantile and/or illusory psychology imagines Akhnaton mobilizing the establishment of Amarna without the background of the 18th Dynasty and its restoration of Egypt. The military and political conquest called for a cultural conclusion.The very possibility of something like international law forced Egypt to give up its traditional self-image as an ordered universe surrounded by chaos and to extend the notion of divinely ordered creation to the limits of the ecumene. Atonism was thus a collective enterprise. The fact that a human would assume it is the other part of the story. At the end of his book, Jan Assmann provides a good base for developing a mature interpretation of the Mosaic Discourse - especially, has he said, if we remain on the outlook for what might have become of the memories that must have been shared. Then, if theses memories apply their function, they will probably report what has been the behavior of the person who was superdetermined to represent the united people which Amarna centralized. Athens, which appeared in the aftermath of this period, certainly got support from the early Unconscious to keep its part of memory. As Sophocles' text says : Oedipus assured Theseus with the protection of the Gods if the woods of Colonus preserved his memory. Jan Assmann gives an impulse with his depiction of the Great hymn; since Athens' Republic is based on a model well known after Plato, it may be part of the early and original Atonian transmission. It would be worth to examine how the remarkable sequences of the Amarnian text matches the phases of the Cave . I wonder especially if the 20th century's formulation which allows a dynamic representation of Plato's Model will meet the phases of the Great hymn that Jan Assmann translates. I am not sure if I'll be able to undertake myself such intense endeavor, but we may expect that one day someone will venture to embark upon a sociology of the Atonian model. Chapter Seven concludes Jan Assmann's text with his interpretation answering the assignment he gave to himself for the solution of anti-semitism. The binomial setting he saw of the Western Monotheism renders a transitive model , where the founding phase of Narcissism can be recognized : Mosaic monotheism is an explicit counter-religion which depends on the preservation of what it opposes for its own definition. For this reason, the Bible has preserved an image of Egypt as its own counter-image. There we have two counter-parts which counter themselves in a counter-action due to oscillate indefinitely. In full accordance with the Psychoanalytic theory and observation, Jan Assmann indicates there the imaginary relation which structures the first historical phase (Narcissism) of psychological development. In this regard, Jan Assmann states correctly the Primary Alliance that imposes a veil on Moses face as well as remembering his secret disappearance. However, Psychoanalysis has begun to reveal a further step in the subjectivation process, which passes through the Oedipus Complex. The Amarna religion has to be counted among the revolutionary forms of monotheism. It opposed tradition in the most violent forms of negation, intolerance and persecution. But the rejected tradition is never mentioned in the texts. We are thus unable to grasp its conceptual construction. This is one of the fundamental differences between Amarna religion and Biblical monotheism. I attribute this fact partly to the lack of tradition and partly to the 'cosmotheistic' character of Amarna religion. We cannot exclude the possibility that Amarna monotheism, had it persisted long enough to create a body of normative texts and interpretations, could have developed an antagonistic construction of the discarded tradition. There, not only was Jan Assmann drawn back from his previous intuition, when he was discovering that Akhnaton had found a way out of religion, but he constructs a dream of the object he looks for. There is no other meaning for his fiction of an Amarnian period that would have persisted - when the definition of the Amarnian period is something that was not persisting ! When Jan Assmann says "We cannot exclude" he means "cannot repressed but invent". He grounds the condition for counting his definition of the Amarna religion in the science fiction of normative texts and interpretations. This confession suggest the reading of the wrong premise that the Amarnian religion was a revolutionary form of monotheism. The 'Amarnian' is not a religion - nor it rejects any tradition in the sense of Jan Assmann. Psychoanalysis suggests that no religion can be attributed to a human being before his 'Mirror Stage' (the dawning of the Oedipus Complex after the Narcissic phase) - there were no religion likewise before the Amarnian stage in Egypt. In the set of our present language, the Amarnian fact can be identified as an 'a-religion'. Lacan made a good approach of the prefix 'a', meaning also a first alphabetic and/or algebraic letter. The initial object it indicates cannot be found in its prelude. As there were no nations, there were no religions before Akhnaton to built any revolution on. The relation to the feminine - as to the mother - cannot be described in terms of idealization. It is over this "introduction of the Narcissism" (re: Freud) that a moralization upgrade the individualization. Chronologically, the a-phase cannot yet stand the presence of Time and it vanished in an imago which relays its evolution. Only from that moment, a specificity arises - i.e. a law, constituting the Biblical monotheism indeed. Only with this explanation can one retrieve the plain truth in the second degree of Jan Assmann's non-sense; for now indeed, we cannot exclude (re: underlined above) the fact that an Amarna 'monotheism' persisted: namely it was the Biblical one. This scientific ontology reveals another interesting identification in the shadows of Jan Assmann's fiction. After the creation of the Biblical religion, the Ramessides appears as the first counter-religion. Once Jan Assmann's enunciation is well read, we can review the reconstruction of the Memory of Egypt in Western Monotheism. His analysis refers to the phenomenology of translation which is the linguistic name for Oedipus Complex. As Reinhold and others saw it, Jan Assmann includes in the tools of translation, the secret and/or its metaphor: the veil. In each of the five pictures which illustrate his book, once the veil and four times the lifting of a veil are displayed (p.130, 131, 132, 133, 135). However there is not a single mention in his entire book about the Mosaic Discourse, of the veil that Moses wore on his face. This veil indicates the principle of the Kades alliance (with the other secrecy regarding the disappearance of Moses) - and its lifting is Jesus' explanation for his condemnation by the Rabbinate. The secret on the identity of Moses in regards to Israel, like the face of Orpheus that must not be seen by his mystical Spouse, is the very core (along with his final disappearance) of the Mosaic Discourse; so the fact that Jan Assmann never names its, is extremely significant. If we continue to apply the Psychoanalytic interpretation, we can anticipate that beside its omission, Jan Assmann gave another name for Moses' Veil. As this veil is the metaphor for quite all of his topic, we are driven to look at what Jan Assmann's states in the first paragraphs of his book, when he names the Mosaic Distinction. I am tempted to think that Jan Assmann's Mosaic Distinction is the name for the veil he represses. He defines it as the distinction between true and false in religion. This would fit perfectly between Egypt (that he refers to the idolatry in regards to his Mosaic Discourse) and Athens (that he always evoke in the outskirts of his Mosaic Discourse) - i.e., between the Hen Kai Pan and the counter-religion that is Ramessides. This way, we reconstruct the coherent view of an Egyptian Empire covering the East Mediterranean and envisioning a unification of its conquests. Arriving close to his conclusion, this project failed; the new capital is deserted. Egypt falls back but a group of Neo-Egyptians persist against the threat of being persecuted. Their new consciousness triggers a reaction in the old world which plans to enclave the Neo-Egyptian movement in a central piece of land. The Neo-Egyptians understand the opportunity to use the enclave as a veil which will protect their settlement of Schools further away from Egypt. From that moment, a Mosaic Distinction and its Discourse, will hamper the denial of the united memory complex until today. While Jan Assmann contradicts his professionalism with his serious blunders, he delivers a veil which covers this model, without contradiction anymore. There is no effective Narcissistic counter-action - such thing is an imaginary effect of a Complex that Cybernetics enables to think For instance the Oedipus Complex appears when a code of the Letter has been revealed - later known as Kabala. In spite of the resistance which irrepressibly diverted (Freud, Velikovsky, Osman, Jan Assmann, etc... all a different text than what they intended to write) each approach of the triple organization of the memory of the Western History, the gradual industrialization of the world constructs a tool which will delineate counter-activities. This is the Artificial Intelligence, still in its Web infancy, where I present the analysis of one of the last classical interpretation of History. Here I call 'classical' what is objectively carried through books. Books and printed writing have conditioned a certain regime of knowledge. When Jan Assmann suggested that I read his book I replied:. I wonder if you would have electronic excerpts available. My work on Akhnaton has been done by 1990, when it was published in France (Akhnaton ou la Veritable Identite de Moise et d'Oedipe [Akhnaton or the real/true identity of Moses and Oedipus] UNEFPE publish.). Since then, I focus on Ecology and Artificial Intelligence. I was there drawing this line which allows a definition of our social memory which is represented by Egyptology. I did not mean only that Jan Assmann would ignore the publishing economics which delay as much as possible the possibility to enjoy books on computer along with printed form. For instance search functions, quotes, comments and many other features are close to bringing to the public an immense improvement in the reading. Yet what I meant was something more related to Egyptology, precisely in the line of Jan Assmann's topic. The cultural situation that Amarna stigmatize is repeated today with the translative circumstance that the electronic communication develops. The Cyber world re-enact the many-cities world that the 18th Dynasty configured. The (a)religion of Amarna reappears as this object (a) that Artificial Intelligence consists of. Egyptology defined as the Mosaic Discourse has made the resistance which will be decrypted by this final realization of Akhtaton. The City of the Horizon is re-established in this new way of communicating knowledge. The Hyper-Realism that Jan Assmann found so characteristics of its singularity is the foundation of its Ecology. The Lacanian devotees will appreciate, as well as these many having noticed that the Letter has a certain power - at least to bring Jokes one Earth if it is a place for the Unconscious (re: Freud). My review of Jan Assmann turned into a critic stemming from Hermopolis Magna's repression; I did not want to underline his dismissal of Osman - especially for the embarrassing coincidence in their names. In 1990, Osman gave to me the Egyptological support for my 1985 hypothesis about Moses, and in 1997, Jan Assmann gave the Egyptological support (re: this page) for my 1990 completion with Trismegistus (to be complete, Bernal has given to me his support for my acceptation of Velikovsky about Oedipus). 'Ossmann' and 'Asman' are thus two very important authors for my work - psychoanalysts are excited with theses kind of phonetic coincidences. The observation becomes very typical, when we note that the actual name of Hermopolis Magna is el-Ashmun-ein. Interesting Christian relations come from the Coptic Church about Ashmunain. In general, Christians believe that at an early age the Holy Family went in Egypt - when Jesus as a kid comes back to Jerusalem he shows a remarkable knowledge which he exposed to the Rabbis - and later in his career, he went again for a discussion in the Temple whose report he gave to his disciples, about Moses identity. Coptics are early Christians in Egypt. They are in good position for giving indication about the sojourn of Jesus in Egypt. They also knew well Hermopolis Magna which was most important in Egypt, just before Christianity. Still today, Coptes remember that Jesus was in Ashmunain when he was in Egypt, that is Hermopolis Magna, that is facing the sacred Tell-el-Amarna, where the preserved cliffs still represent BigFoot and the Freudian jokes (Oedema-Podos, alias Oedipus, Akhnaton's hips, Hermes-Thoth etc...). I mention this in case that Jan Assmann or Osman would interpret the Oedipus Complex with relation with one's name. NOTE 01) - Nazi violence may have been thwarted if Freud had succeeded in his interpretation of 'Moses', W.Reich may have indeed penetrated some somatic mechanisms if the interpretation of libido had reached its biological target. Most usually, a carefull enterprise of liberation (de-alienation) must hold onto the effective fact whose discourse one analyses. The search for a 'real' anchor has been examplifid by Lacan, after Freud, when he linked Psychoanalysis with Cybernetics; in this way he was indentifying mechanisation amongst the 'primal causes' of the 'reflexion upon Psyche' which charaterizes the human society. Interesting enough, in providing Artificial Intelligence to the Psychoanalytical project, he was restoring a connection with the Hermetician project (if Frances A.Yates was right in her description of the Art of Memory). This would support Jan Assmann's study when he associates Freud to the Hermetic (or anti-Hermetic in this case) lineage. ...Concept of Hermes is quite important but offers chance for error in assigning him creative origin point...probably more valuable to see him as another derivative element who influences so much after overtly & covertly. I agree that the matter of a 'creative origin point' may be reserved to God or not applied to anything in particular, or even stored away with things which have excessive chance for error. However I stand for a notion of a 'creative causal point' - I believe that when we add the notion of Psyche in any science (history, analysis etc..) we make a kind of treaty with the notion of cause. In a psychological manner I mean that there are causes in history and amongst them the individual, a;ong with the personnality, soul, ego, whatever... there is a casuistic for subjectivity in History. I am not sure how it is valuable to assign the overtly & covertly advantages of the derivation in itself in this case. We have already so many things which provide for this value logic - for instance Cities, Nations...these derivative elements for the human race work wonderfuly. We may not want to compete with the efficient function of these creative origin points - we may assign T3 for the need for another casuistic. I have been fascinated by the defense of Jan Assmann when he tried to keep and conceal the 'creative origin point' workmanship for T3. There is an upside-down logic at works there. "There is virtually no memory of Akhnaton before the nineteenth century, Moses represents the reverse case." Meanwhile he presents T3 with Ficino's report and he almost recounts that T3 was known during the Middel-Ages as an Egyptian Monotheist King devoted to the Sun, a builder of a Solar Utopian City who had been contemporary with Moses and Orpheus (or Oedipus). Yet, he says that a scholar (Casaubon) having declared at that time that it was non sense, it was not 'memory'. "My daughter had virtually no sexuality before she was 21." Meanwhile he presents his daughter when she was 16 who had hung hundred of pictures of a pop singer all over her bedroom, and he almost recounts that she was always wearing red lingerie when in her room and that she became anorexic although she put her lipstick all over the posters etc... Yet, he says that a doctor (gastroenterolog surgeon) having declared at that time that it was non sense, it was not 'sexuality'. NOTE 04) - The Greek memory of Akhnaton has been shown indeed by Velikovsky, reitering Karl Abraham, but like Osman and others who wrote a different text than what they intended to write, Velikovsky scuttled his own work and wrote books about astronomy . He also exerted immenses effort in order to repell Moses from his Akhnaton-Oedipus . The enclavement of the Hebrew Moses is thus so well kept that not much has been left to Jan Assmann for giving a clue for truth but with the frank inversion of the Karl Abraham data he refers to. Where you can send and receive messages to and from the readers.